The transition from analog meters to smart meters — from a single monthly reading of energy usage to thousands of data points per month — transforms a blunt record of kilowatts consumed into a deeply personal snapshot of a person’s life. The data protection and privacy implications of collecting this data are not confined to Illinois but resonate around the world. Smart meter deployments are shifting from North America to Europe with Asia and Latin America not far behind. The legal regimes in each country may be different, but as with the rapid adoption of most technology, existing safeguards may be inadequate to protect against these new intrusions into our private lives. Governments seeking to roll out smart meters must therefore ensure that the privacy of energy consumers is correspondingly protected. Smart meter data reveals intimate details about what is going on inside the home. The lower court made false assumptions about how smart meter technology works, and its decision is a threat to the privacy of the 57 million and counting American homes with this new technology. Specifically, [this] brief explains the critical reason why, as a technological matter, aggregate smart meter data is both quantitatively and qualitatively different from the monthly cumulative energy use readings collected from analog meters — i.e., time granularity. The brief also explains why, as a legal matter, smart meter data — as a result of its inherent time granularity — constitutes intimate details of the home entitled to the utmost Fourth Amendment protection. Amici file the attached brief to assist the Court in understanding (a) where exactly the district court went wrong in concluding that smart meter data is no different than analog meter data in terms of the information captured regarding in-home activities, and (b) how the district court’s flawed conclusion — that Americans have no reasonable expectation of privacy in aggregate smart meter data as a matter of law — threatens the privacy of millions of American homes. In so doing, Amici’s brief offers a broader technological and policy perspective not offered by either party. [S]mart meters are different — both quantitatively and qualitatively — from their predecessors, analog meters, in terms of the information captured regarding in-home activities. The district court failed to recognize this, and in so doing, issued a holding that threatens to erode the sacred privacy of the home. • “aggregate” smart meter data is actually disaggregated by time. As a result of this time granularity, smart meter data — even in “aggregate” form — constitutes intimate information regarding a person or family’s private, in-home activities. A single monthly read of cumulative household energy use does not reveal how energy is being used throughout the course of a day. But smart meter data does, and its time granularity tells a story for those who wish to read it. With 15-minute readings, one can see when people go to bed, get up in the morning, or go to school or work; one can see “weekday” and “weekend” patterns; and so on. In 2015, roughly 65 million smart meters were installed across the United States, with 88% of them, over 57 million, in homes of American consumers. More than 40 percent of American households currently have a smart meter, and experts predict that number will reach around 80 percent by 2020. The district court’s holding that Americans have no reasonable expectation of privacy in aggregate smart meter data as a matter of law threatens the privacy of these 57 million and counting American households. This Court is thus tasked with an important role: addressing “what limits there are upon this power of technology to shrink the realm of guaranteed privacy” in American homes. For the reasons outlined herein, this Court should reverse the district court’s flawed conclusion that Americans have no reasonable expectation of privacy in their aggregate smart meter data. 1. Smart meters collect data from inside the home that reflects private, in-home activities. – Smart meters collect data from inside the home regarding how much energy was used, and at what time. – Because of its time granularity, smart meter data – even in aggregate form — is far more intimate than cumulative monthly analog meter data. – Energy disaggregation technologies enable more specific inferences about in-home activities. 2. The Fourth Amendment protects smart meter data. – Information regarding the interior of a home is subject to the utmost Fourth Amendment protection. – Smart meter data is intimate information regarding the interior of a home. – Americans reasonably expect data about their in-home activities — including smart meter data — to remain private. – Case law regarding the expectation of privacy in monthly, cumulative analog meter data is inapposite [i.e, not pertinent]. – Americans’ expectation of privacy in smart meter data is objectively reasonable even though an energy utility may have access to the data. – Consumers do not “voluntarily convey” smart meter data to their energy utility. Here, the compulsory conveyance of data reflecting intimate details of in-home activities does not — and cannot — extinguish the strong expectation of privacy that Americans reasonably have in smart meter data. Indeed, the Fourth Amendment protection afforded to the home “would be of little practical value” if Americans were said to have no expectation of privacy in smart meter data. 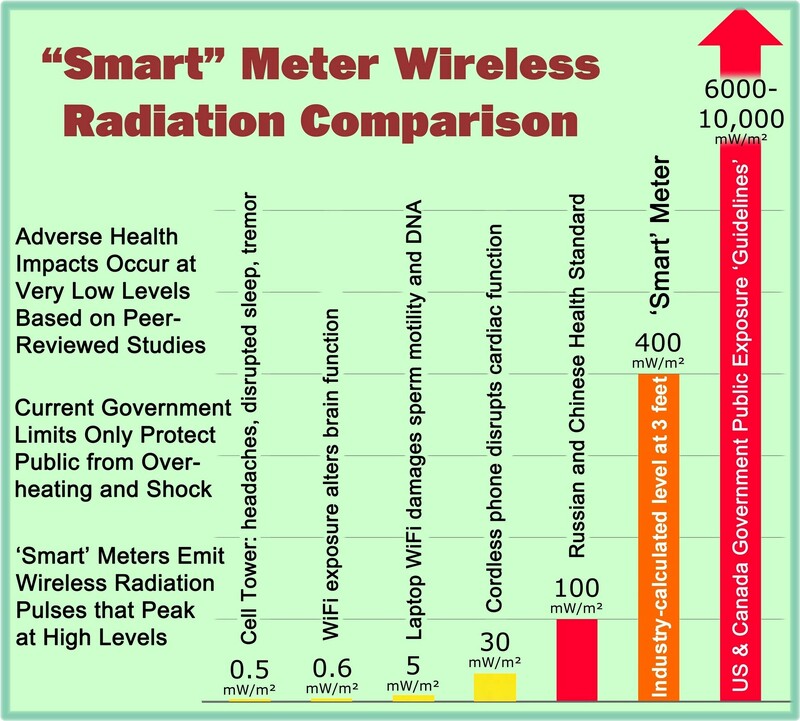 … Government officials would be free to seek access to a person’s smart meter profile at any time to understand intimate details about their daily patterns and home life. The Fourth Amendment’s strong protection for the intimate details of the home condemns this result. On a personal note, I initially got involved with the smart meter issue over privacy concerns based upon my initial assessment that no utility should have the right to collect personal information from my home in excess of that required to bill for electric service. Everything I have since learned has tended to confirm that initial belief. The NSMA brief filed last week and the amicus brief this week in some sense represents a culmination of the latest information on the threats posed by smart meters in the areas of privacy and security. I have already won the argument on those issues, but utilities, government bureaucrats, and to some extent the courts have simply ignored and/or have refused to accept the results. Let us hope that changes before it is too late, and our Fourth Amendment protections are gone forever. 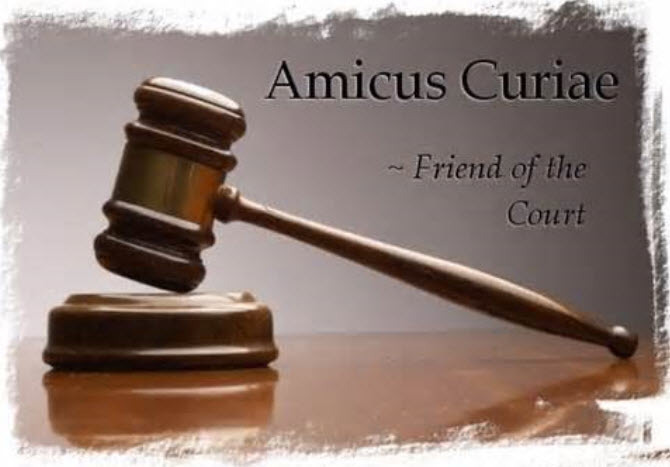 This entry was posted in Smart Grid, Smart Meters, and RF Emissions and tagged amicus curiae, EFF, Electronic Frontier Foundation, Lawsuit, Naperville, Privacy, Privacy International, Smart Meters. Bookmark the permalink.